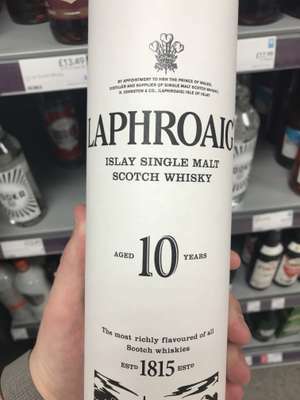 Laphroaig 10 YO £18.75 in my local CO-OP. Also bagged a Glenlivet 15 FOR for £20. Yes, these may be local deals. But all the same, a steal. I’ll use the Laphroaig for mouthwash if nothing else. Had at least 4 bottles of the Laphroaig left. Co-Op Shifnal. This deal is not adult/NSFW but it is extremely naughty. Cause it tastes like antiseptic. Good to shut the father in law up, though. 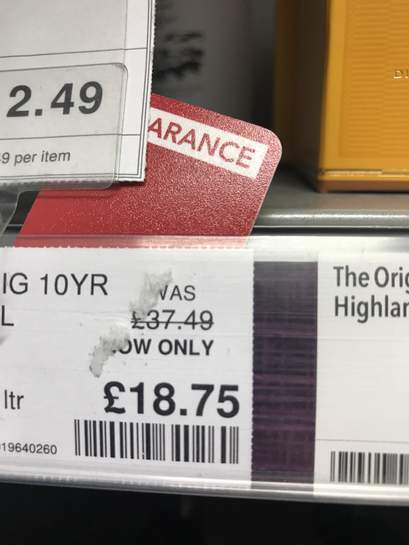 I picked up a bottle of Talisker 10 yo for £27.46 today in my local Co op. Didn't notice Laphroaig on offer though.